I went to Phuket, Thailand having a long layover in Singapore and I told my travel buddy back then that we can try many things in the airport! Ali did not even know there was this kind of entertainment at the airport and so we explored all terminals together. We were lost at the beginning but then we decided to download the iChangi apps on my mobile phone to make it easier for us to spot the places. 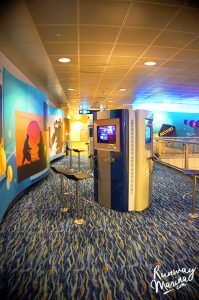 The Airport itself has 3 large terminals and the free entertainments are well spread. 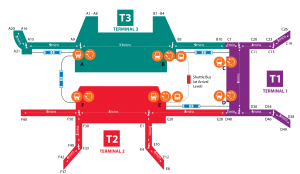 The places are well spread in each terminal, but hey, you can easily jump in and out on another terminal by using the transfer trains. Here you go! It may not be a large park, but it sure a cute place to look and relax here. They have plenty of Cactus with well-named signs for you to learn. The multiple screens in the middle of Terminal 1 will make the children and teenagers attracted to it. Turns out they have some kind of game on each screen. You can take a selfie on the machine and it will record your face through the entire game championship. This is the merely cute garden that was set up in the middle of the Terminal. 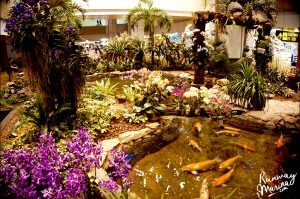 But they really make it beautiful with koi pond, bridges and plants all over the places. Surely it is a good place to hang out for the elders. Now, this is what I have been searching for! 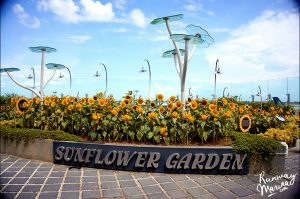 The sunflower garden is a pretty cute place to spend your time and take photographs. 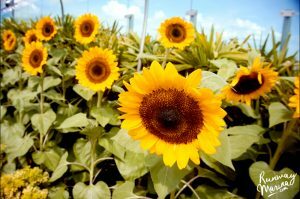 It is not that big, but they surely grow the sunflower more and more which makes the place so sweet! Time to take lots of photographs ya! 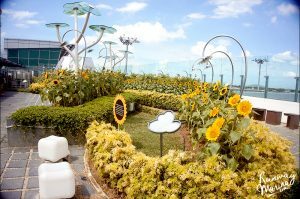 Just right beside the Sunflower Garden, there is a place for you gamers to fill your thirst for digital adventure! It was a good experience having to go outside of Singapore for a bit and be part of the tour. Psst.. plus it’s free!! 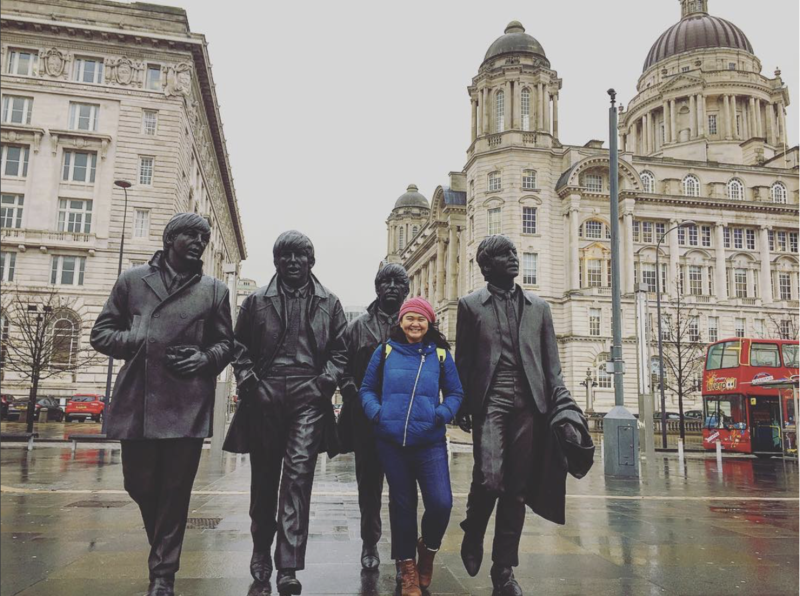 Read here on how you can join up this free tour. My favourite place across the airport. it has a large garden based on 2 level stories, completed with waterfalls and the area filled with plants. 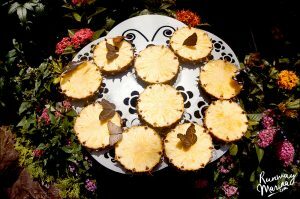 Of course, butterflies are everywhere! 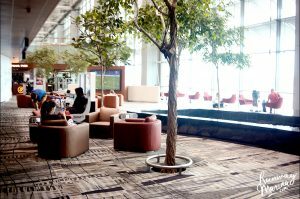 Do not worry as you can use their lounge all over the terminals. They have plenty of sofas and chairs for you to sit on. Just need to scan your passport to the nearby computer stall and you got your free wifi all the way! Spread well everywhere across the terminals. Geez, this is my favourite after you had a long walk after your long journey! You are reading just correct. You can watch movies here without any guidance whatsoever. 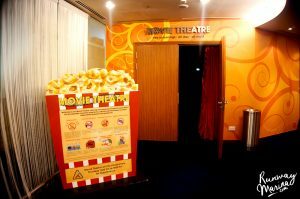 Although they have already set up the movie schedules and you just need to enter the room by yourself. 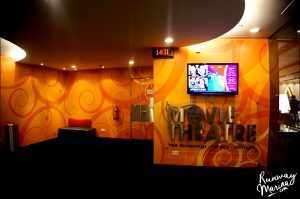 The movies are pretty updated, so I really enjoyed spending times in here. 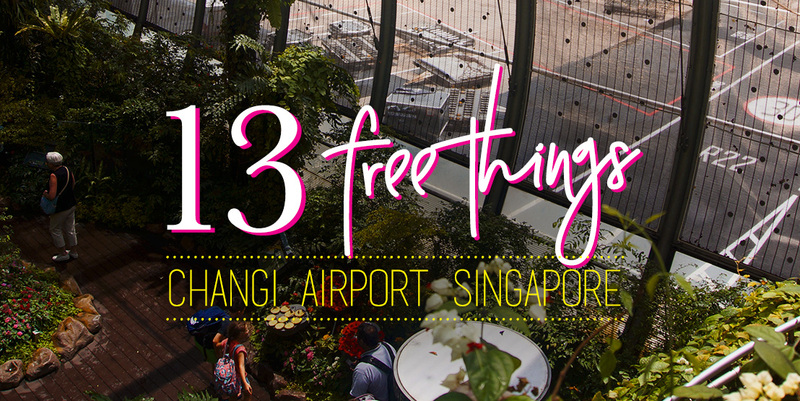 There were plenty other things you can try to do in Changi but it will cost you even more. 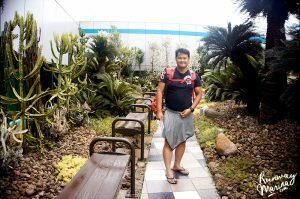 When I had the long delay to Phuket, which was not an accident, cos I wanted to explore more of the airport. There is also a swimming pool and jacuzzi outdoor which is part of the hotels, but you need to pay for 17$ to get in. Nonetheless, with all those free things above, I had good times relaxing here after the long travel time. 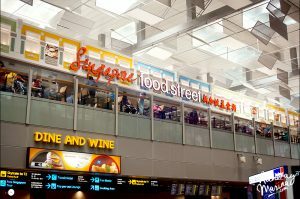 There were plenty of cafes, restaurants, kids playground, transit hotels, food courts, prayer rooms, baby and nursing rooms, and shower lounge all over the airport. They surely made the airport convenience for the family, teenagers, and adults. 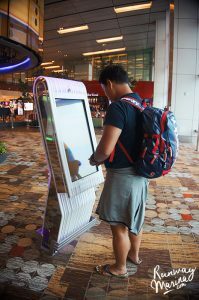 You can search for more information here and I assure you, you will never miss anything in Changi Airport! 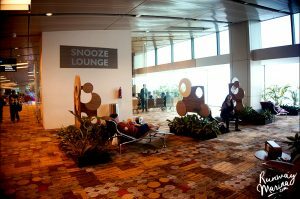 Have you had a long delay in Changi Airport? What did you do? 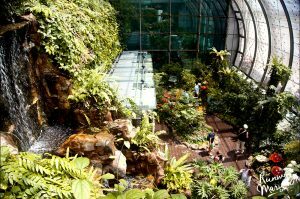 I loved this article on Changi Airport. 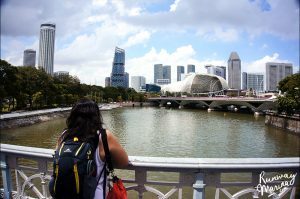 Generally, we come across 5 tips while traveling by air etc. but this is a very nice way of utlizing your free time at an airport. 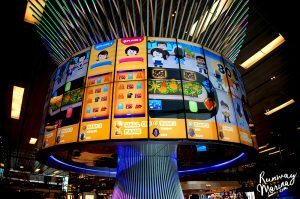 Changi airport is really nice and I liked the social wall the most. In my opinion, Indira Gandhi International Terminal in Delhi is really good and can learn a few things from its Singapore counterpart. 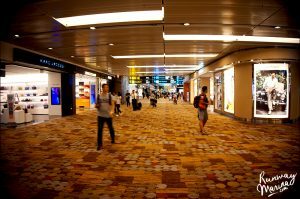 Never been to Delhi airport but glad if you liked Changi! 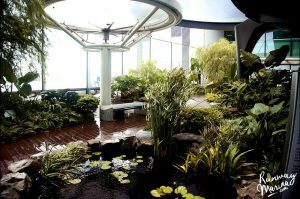 I have read so many good things about Changi and I can easily see why it’s one of the best airports. 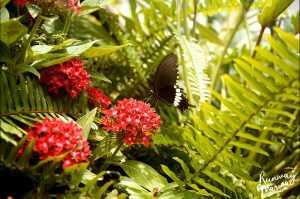 The butterfly garden looks great and free movies, Wifi and massage – what else can you ask for when delayed! 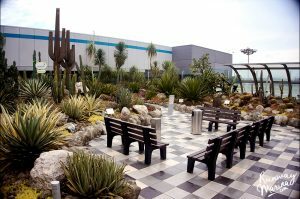 I love that this airport is so full of beautiful gardens! 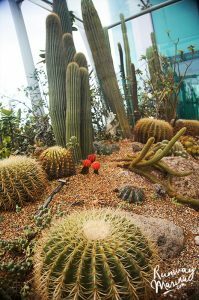 The Cactus garden is my fave! and they have some great shops too! 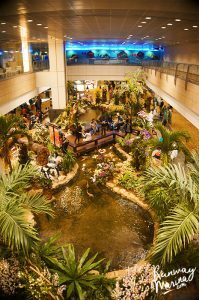 I have never been in a airport with fresh gardens of all sorts and a movie theatre! Definitely a place to be happy for a layover. Thanks for sharing.